Why Pay, Other Sites Are Free? The short: Other sites (Upwork, Freelancer, Fiverr…) charge way higher back-end fees so you end up paying more. We don’t charge any fees except the up-front recruiting fee. The longer: We have a long-term approach focused on what’s best for YOU and YOUR WORKERS. With us, you pay a fee to access our huge database of workers. We moderate that database, filter bad workers, provide tools and education to give you the best chance of finding a great worker. We DON’T charge any back-end fees, salary markups, or tell you how you have to manage your worker. With other sites, you get to look at and communicate with the workers for free, but on the back-end when you go to pay them, everything gets marked up. Typical markups are 20-40% (Upwork or Freelancer) to 200-500% (any agency which provides office space for workers). Not to mention they dictate how you’re allowed to communicate with them, how you have to pay them, and most of the time that worker is forced to work multiple jobs because of the nature of the work. A typical beginner worker on OnlineJobs.ph will make $400/month full-time. That’s $2.50/hour. That same worker on other sites is forced to charge $7/hour (because of site policies and the nature of “freelancing”). For full-time work you end up paying $1,120, including $224-$448 in fees. Still concerned about the cost??? I would be willing to give it a try a 49.00 but 69.00 is too much. Very true, you’ve to pay a huge sum with every project to these services. And they don’t even provide good protection against refunds and charge-backs. Nice Piece! Always have had excellent results with this site. I have hired a total of 5 workers over the past 4 years on this site with excellent results. My VA is a superstar. Hard to navigate site however,–where is the cancel option so I don’t get charged for the 2nd month? Why do I get so many page not found errors? You can email our support staff (support@onlinejobs.ph), they can help you with the cancellation process. If it works for you Douglas, it’s totally fine for us. If upwork fits your business model better, the option is there. We admit that there are differences. The important thing is you know what your options are when you need them. Good luck on hiring and on your business! Hi, who could help me to find an employer? I am willing for a full-time job. Im looking for a part time job atleast 4 hours a day. Our service if free for jobseekers. The subscription is for employers. I tried to order the Amazon FBA full course this evening but there was no payment option. Is there another way to order this course via Western Union or MoneyGram. Thank you so much. Excellent site also. HI Tommy! To order, you need to login to their employer account first. Or if you haven’t created one, to register as an employer. Hi Julia. I just need a short-term engagement for a single proj. I need an urgent help…I’m too busy lang at the moment kaya di ako makapagsulat. The fee is just too high for me with the nature of the engagement. I wonder if you have other arrangement that’s responsive to my need? Would really appreciate your quick response. than you so much. Sorry i’m a bit confused by your question. 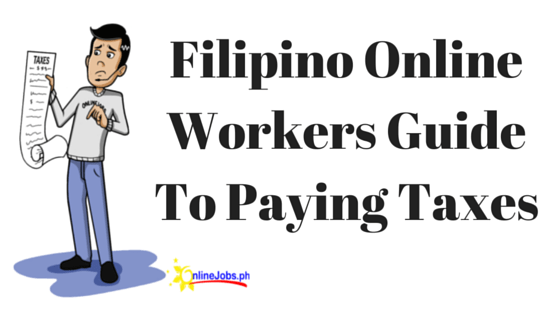 We don’t charge Filipino jobseekers so you shouldn’t be paying any fees. The fees are for employers.